The recent article about Vietnam by Dr. Robert Hickson, “Giving a Free Hand to the Assassins,” piqued my curiosity about the history and influence of Catholicism in Vietnam. His article clearly pits the Catholic Diem against the radical Buddhist monks who were eager to rid the country of the influence of this Catholic family. In my research into this history, I came upon an apparition of Our Lady which occurred in Vietnam in 1798. Interestingly and appropriately, there a number of Catholic church parishes in this country named for this apparition – Our Lady of Lavang. I shall say more about this later. Americans tend to paint all Asian countries with the same brush, thinking of them as Buddhist, Hindu, or Muslim – or all three. In truth, Christianity came to parts of Asia throughout its early centuries (Saint Thomas the Apostle evangelized south India.) During the great missionary age (sixteenth through the nineteenth century), the Jesuits became the first priests to successfully plant Catholicism in that part of Southeast Asia that was between India and China (Indochina). The first unsuccessful attempt was by Portuguese missionaries in the early sixteenth century. Jesuits arrived there in the following century and gained a strong Christian foothold. The French Fathers Alexander de Rhodes and Antoine Marquez converted more than six thousand between the years 1627 and 1630. It was Father de Rhodes who created an alphabet for the eastern Indochina (Vietnamese) language using Latin script with added diacritical marks. Of course, the Vietnamese had their own written alphabet, but converting that into a phonetic Latin-based written language made communication with the western world easier. In the following century, the French missionary priest Pigneau de Behaine came to the country to evangelize. Political unrest was common between warring families, and Pigneau got himself involved in one of these disputes. The Tay Son brothers killed the ruling Nguyen (pronounced Win) lords, leaving one of the senior members surviving. This man, Nguyen Anh, fled to the Mekong Delta to the south and met Pigneau, who became his confidante. Pigneau in turn, hoped that if he and the French helped Anh regain his throne he would gain concessions for the Catholic Church and expedite the spread of the Faith throughout the region of Southeast Asia. When the Nguyen side was losing the fight against the Tay Son family, Pigneau recruited some French military to assist, thus gaining much influence and power in the Nguyen regime. By 1802, Nguyen Anh with French help reconquered all of Vietnam and declared himself Emperor Gia Long, giving great honor to Pigneau. Unfortunately, Gia Long did not ever convert to Christianity from his Confucian religion. This was to lead to trouble in a few short years, when he decided to rid his country of all western influence, including the western religion. The crown prince, Nguyen Phuc Canh, the son of Gia Long by his first wife had converted to Catholicism. Sadly, it was his early death that led to the strife between Confucian and Catholic. Gia Long then appointed as his successor his son by his second wife, Nguyen Phuc Dam who was a strong nationalist conservative; he had retained the traditional Confucian religion and hated all foreign influence in his country’s affairs. By 1802, the time that Gia Long declared himself Emperor, the Catholic Church in Vietnam had three dioceses, 320,000 faithful, one hundred thirty one Vietnamese priests, fifty-five missionary priests, and three bishops. Gia Long merely tolerated Christianity in deference to his French Catholic benefactors, but with the selection of a hard-line Confucian conservative, Catholic favoritism would slip. The new Emperor, Minh Mang, began to place restrictions on Catholics in an attempt to curtail their power and influence. In the meantime, Duyet, a high ranking mandarin who favored the Catholic Canh line because he could count on the westerners to support him militarily, incurred Minh Mang’s displeasure. The Emperor cut back Duyet’s military powers and, after his death, disgraced his tomb and had many of his relatives killed. Duyet’s son, Khoi, revolted against Minh in an attempt to restore the throne to the Canh line. The mostly Catholic rebels took over southern Vietnam with two thousand troops fighting under Father Nguyen Van Tam. After three years, the revolt failed with disastrous consequences for the Catholic Vietnamese. Priests were rounded up and executed, both the native Vietnamese and missionaries – mostly Spanish and French. It was a terrible time of persecution of the Catholics, many of whom fled into the mountainous forests. It was during this time of vicious persecution of Catholics that Our Lady appeared to the Catholic faithful cowering in the dense forests. When the wave of persecutions began, Catholicism was firmly entrenched in the hearts of its faithful in Vietnam. As early as 1698, Catholics suffered for the Faith. During the back and forth years of the 1700’s and 1800’s, more than one hundred thousand Catholic Vietnamese were martyred. Even today, with a Communist government in charge, bishops and priests are harassed, and the status of the Church is not strong. During the late 1700’s, persecution of Catholics was so severe that many of the people fled to a remote mountain area near the Imperial capital of Hue, province of Quang Tri, at one time the northernmost province of the Republic of Vietnam (South Vietnam). They fled to the area of Lavang to save their lives and to be free to practice their religion in peace. In the year 1798, as the community gathered to say the Rosary together, there appeared an apparition of a beautiful Lady holding a little child in her arms. Angels surrounded them. The Lady was in simple dress, but wore a gold crown. The beautiful Lady spoke to the people as a mother, giving them words of love and comfort. She did not issue any warnings as Our Lady of Fatima did to the three seers; she simply expressed her love for them as her persecuted children. Helping them with their problems and cares, she showed them how to make medicines from the plants and herbs that grew in the area. She appeared several more times, issuing the same message of love and comfort. Soon a small shrine of rice straw and leaves was built in her honor. More and more of the faithful flocked to the shrine over the years, miraculous cures were reported, and Lavang continued to be a sanctuary for oppressed Catholics. In 1805, the Emperor’s soldiers began to carry out his orders to rid the country of all colonial influence, including the Christian religion. They came to Lavang and murdered thirty of the faithful right at the door of their little shrine. Someone then started a fire at the shrine (not the soldiers, for they were suspicious and had heard of the miracles and were frightened to destroy the church itself.) While the church was lost, some of the wooden furnishings were saved and used in the new brick church which was begun in 1885 and completed in 1900. The popularity and the reputation of the shrine of Our Lady of Lavang grew, and in 1901, the first annual celebration of the Shrine of Our Lady of Lavang took place. The throngs became so great, that the complex had to be enlarged in 1928. Vietnam has had a history of almost continuous fighting, as we have seen. During World War II, it was a battleground for the Japanese and the French. After that, the French colonial government fought against the Communists – the Viet Cong, resulting in the country being split in 1954 between Communist and non-Communist governments. A million people fled the Communists into the South, and Lavang became a center for pilgrimage. The Vietnamese bishops made the church at Lavang the national shrine of the country in 1961, and in August of that same year Pope John XXIII conferred on the church the title of Minor Basilica. During the long reign of Pope John Paul II, that Holy Father gave many signs of recognition to the Basilica and expressed his affection for the Vietnamese people on a number of occasions. The apparition itself, however, has never been officially approved by the Vatican. Since the American involvement in the Vietnam War of the 1960’s and 1970’s, and the loss of that war, many Vietnamese have fled their homeland and settled in other parts of the world, taking their Faith and their Virgin with them. I have found at least five parishes in the United States named for their national patroness. They are located in far-flung parts of our country – Houston, Texas; Santa Ana, California; Portland, Oregon; Baltimore Maryland; and New Orleans, Louisiana. The website for the large parish of Our Lady of Lavang in New Orleans has a photograph of a beautiful pagoda-like open shrine with the statue of Our Lady of Lavang in the place of honor. The church building was purchased from a Protestant congregation after the neighborhood was flooded during Hurricane Katrina. That entire large area of the city was devastated by the worst hurricane ever to have come into the Gulf Coast. I am informed by the office of Vietnamese Outreach of the Archdiocese of New Orleans that there are five parishes within the archdiocese that cater to the large Vietnamese population of the city. The Vietnamese people are hard-working and resilient. They have risen fast on the American scene by dint of the value they place upon education and self-improvement. 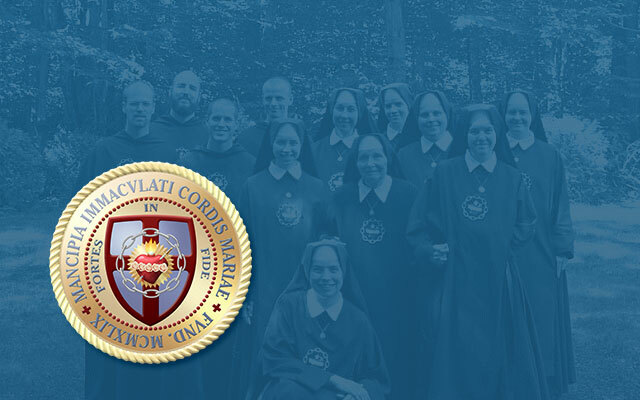 It is obvious that their devotion to their national patroness has helped to lift themselves to greatness and remain steadfast in their faithfulness to Holy Mother Church. Our Lady of Lavang, Pray for us!